THE ‘unwavering dedication’ and commitment to hurling coaching at St Brendan’s Boys Primary School, Birr by the late Johnny Cleary was marked in a moving tribute at the school last week. 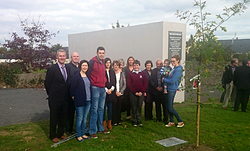 Members of the extended Cleary family attended the very emotive and moving event and were joined by staff, students, members of the Parents Association, the Board of Management and the local community. 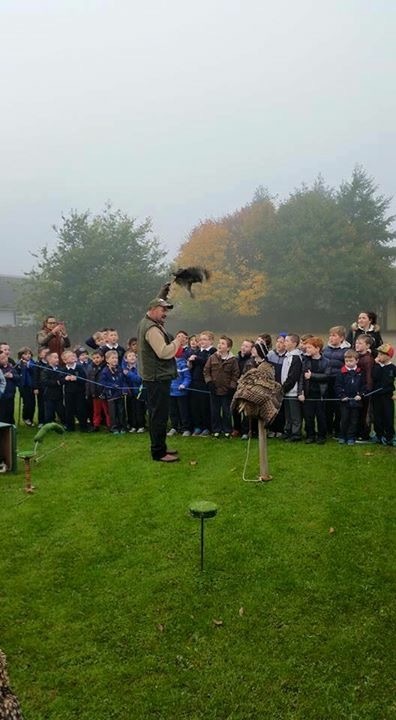 Niall Crofton, School Principal, noted that the oak tree would be in the school forever and was also overlooking the school’s newly unveiled hurling wall, which was a fitting tribute to Johnny. 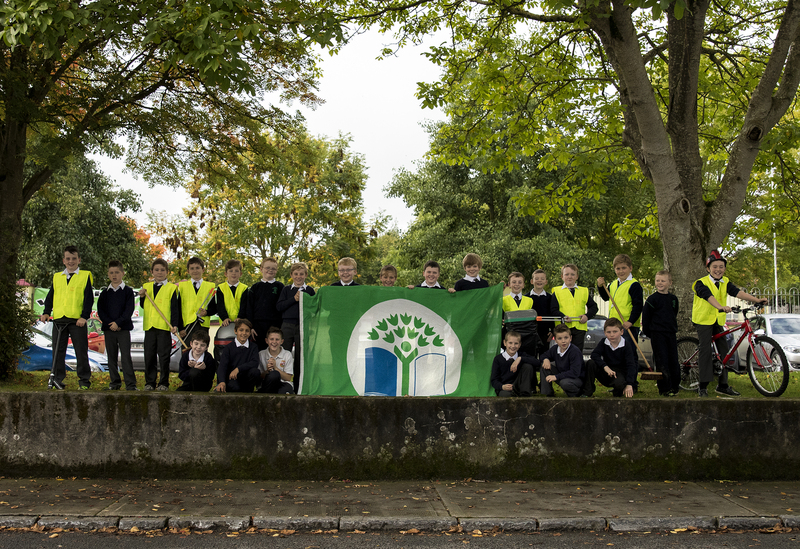 New Green school committee elected. 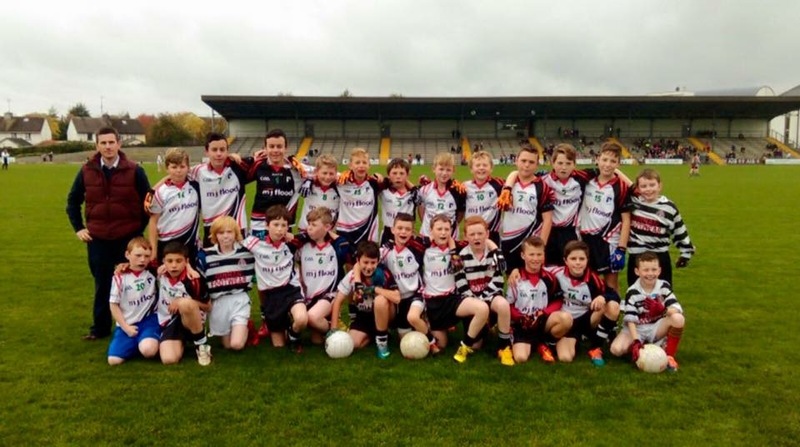 Hurling Coaching : Coaching will continue in November with Colm for classes 1st—6th. Boys asked to bring gear on Wednesdays and we would LOVE to see the boys using the ball wall every day. Rugby Coaching ; We welcome Stephen Niland to the school and he has begun rugby coaching with 5th / 6th classes each Friday. This will hopefully entend to other classes as the year goes on. Boys are asked to bring in old runners / jumper etc as the pitch will get mucky after mid term. 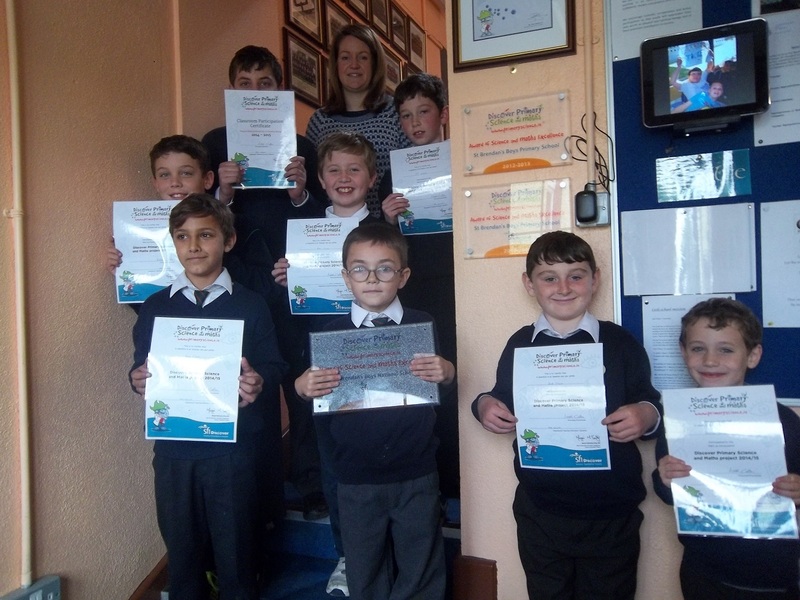 We had a great week taking part with the national maths week 2015 campaign. Classes took a little more time to look at maths in a fun way. Mr. Cunningham also set the senior classes up for registration with the math online game programme MANGAHIGH. I hope your students enjoyed taking part in the Mangahigh Maths Week Challenge. The engagement generated has been exceptional, with over 22,000 students from 472 schools across Ireland answering over 7,500,000 maths questions! The school came in 82nd place overall in Ireland. This was despite a lot of the computers in the computer room being slow / not working due to their age. The BOM / PA hope to target this area for support during this school year.Many thanks to Mr. Cunningham and the boys for the great effort and we hope you enjoyed the week. Prizes will be given out to the top 5 performers on Friday. Ms.Costigan has gone around to all classes 1st-6th doing some poetry lessons. We will have a poetry comp for each class in NOV with cool prizes , display on noticeboard , poems published in books and even in local paper! Genres—1st—sense poem, 2nd—Acrostic, 3rd—Rhyming couplet, 4th—Alliteration, 5th –Kennings, 6th—Haiki / Cinquins. Enjoy !! 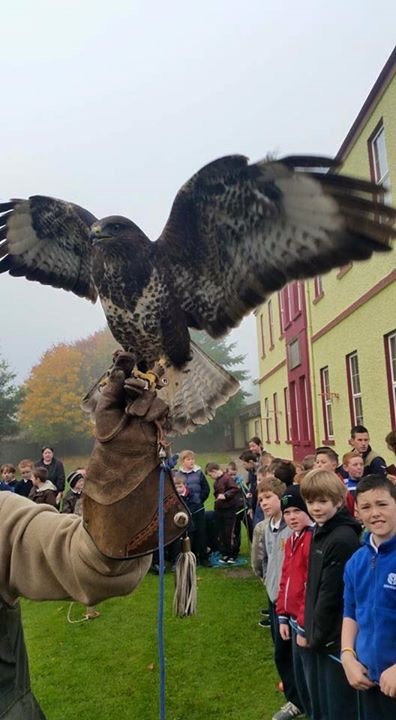 St. Brendans gone to the birds ! 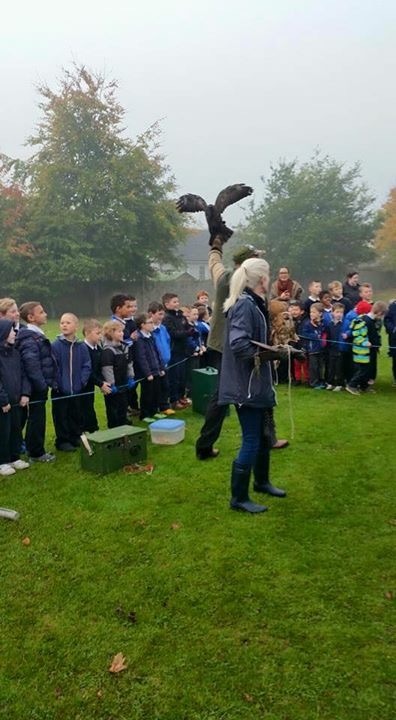 Mr Sam Rochford visited the school during October with his owls and birds of prey. 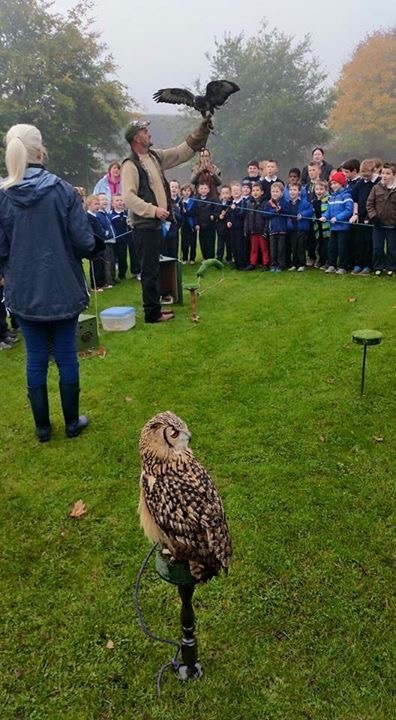 The boys from SI / 1ST / 3RD AND 4TH got to see and rub an eagle owl , a barn owl and a tawny owl. He also had a Harris hawk and some ferrets in his pockets ! He chatted with the lads and they all learnt about these cool creatures. Thanks to Mick Hansbury and St Brendans game club for organising the visit. Offaly schools Gaelic Football Champions : Congratulations to all the football panel under the management of Mr. Kennedy on the a great victory in winning the schools football title. 2 in a row ! The team trained hard with a great team spirit and played with fairness ,honesty of effort and great skill in each game. 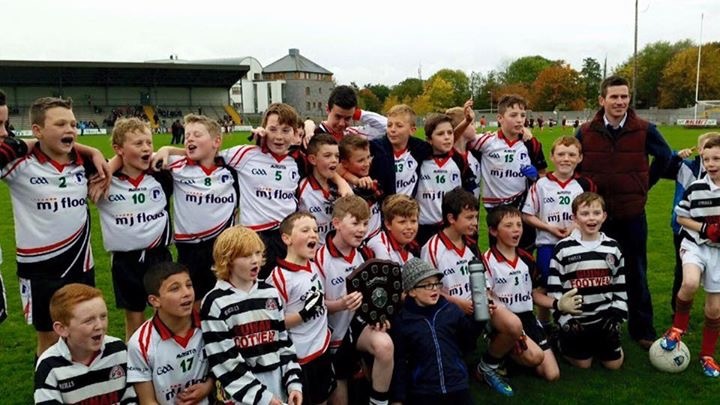 They were unbeaten all year and defeated a good Dromakeenan team in the final by a score of 1-4 to 1-2 with Captain Sam Smith proudly lifting the cup.